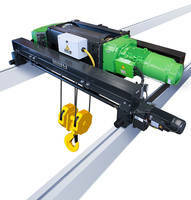 The AS7 is a new electric wire rope hoist that is being offered by Columbus McKinnon Corporation. The hoist is available in two designs of a deck mount configuration and a double girder trolley configuration. Both designs are made of German-made components and have a maximum load capacity of 85 tons. There is also a twin drum configuration of the AS7 which handles up to 135 tons and a smaller version in the ASR7 which is designed for 25 to 30 tons. GETZVILLE, N.Y., November 14, 2018 – Columbus McKinnon Corporation (NASDAQ: CMCO), a leading designer and manufacturer of motion control products, technologies, and services for material handling, offers the AS7 electric wire rope hoist as an addition to its advanced hoist product portfolio. STAHL CraneSystems, a wholly owned subsidiary of Columbus McKinnon, developed the AS7 as a cost-effective, specialized solution for users, crane manufacturers, and system manufacturers. The AS7 is assembled with German-made components in two designs, a deck mount configuration for stationary hoisting or towing equipment and a double girder trolley configuration for double girder overhead traveling cranes. 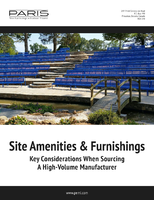 Both designs have a maximum load capacity of 85 tons, with customization available for higher capacities upon request. The AS7 is also available in a twin drum configuration, which serves the same applications, but offers a load capacity up to 135 tons, greater lifting height, faster hoisting speed, and precise load positioning. Also available, the ASR7, a smaller version of the AS7, is designed for a safe working load range from 20 to 35 tons. Providing a compact construction and short approach, the AS7 and ASR7 are ideal for use in restricted spaces. 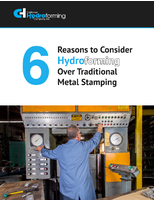 A variety of models and trolley options for the AS7 and ASR7 wire rope hoist systems can be tailored to specific requirements for stationary hoisting or towing equipment. Options to further customize these wire rope hoist systems include pendant pushbutton controls, radio remote controls, emergency hoist limit switch, SMC multicontroller, load display, signal transmitters, brake release device, rope drum brake, and adjustable frequency drives. 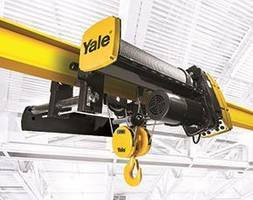 These options boost productivity, extend service life, and customize the hoist to specific requirements. 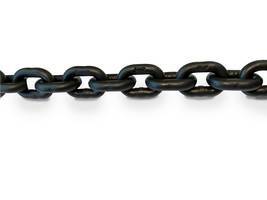 Columbus McKinnon also offers custom-made AS7 designs with lifting technology and components that comply with ATEX and IECEx approvals for EX Zone 1, Zone 2, Zone 21, or Zone 22 hazardous locations. ATEX compliance, required in the European Union, certifies that the AS7 is safe to use in potentially explosive areas with flammable gases or dust. IECEx equipment certification signifies that the AS7 conforms to international safety standards for environments where a potential exists for explosions. All equipment for the AS7 is available in an explosion-proof design. 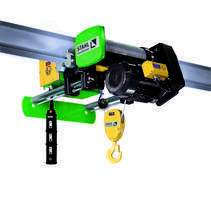 To learn more about the AS7 electric wire rope hoist, or any of the company’s crane solutions products, call Columbus McKinnon Channel Services at 800-888-0985 or visit www.cmworks.com. 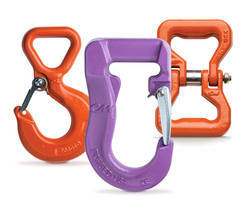 For additional information about STAHL CraneSystems, visit www.stahlcranes.com. Columbus McKinnon is a leading worldwide designer, manufacturer, and marketer of motion control products, technologies, systems, and services that efficiently and ergonomically move, lift, position, and secure materials. 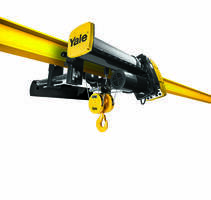 Key products include hoists, cranes, actuators, rigging tools, light rail work stations, and digital power and motion control systems. The Company is focused on commercial and industrial applications that require the safety and quality provided by its superior design and engineering know-how.